Renée Lane-Kunz co-chairs the Employment Law Group at Shapiro Sher. Drawing on her wealth of experience in human resources and executive management positions in the hospitality and tourism industries, Ms. Lane-Kunz provides employment counsel to clients in diverse industries, including hospitality, manufacturing, education, information technology, biotechnology, and government contracting. In her practice, Ms. Lane-Kunz authors employee handbooks, regularly negotiates and drafts employment, separation, non-competition, and other agreements on behalf of both employers and employees, and successfully resolves complaints brought against employers by the U.S. Equal Employment Opportunity Commission and the Maryland Commission on Civil Rights. In conjunction with her experience in information technology businesses, Ms. Lane-Kunz also advises companies on licensing, copyright and trademark registration, as well as general corporate law matters. Other laws and regulations affecting employers. In addition to her legal practice, Ms. Lane-Kunz serves as Shapiro Sher's Chief Operating Officer. In that role, she is responsible for the oversight and management of the Firm's accounting, facilities, human resources, information technology, and records departments. Having worked in Europe and Scandinavia, Ms. Lane-Kunz is well traveled and holds dual citizenship in Switzerland and the United States. ​Renée Lane-Kunz has been promoted to Partner. 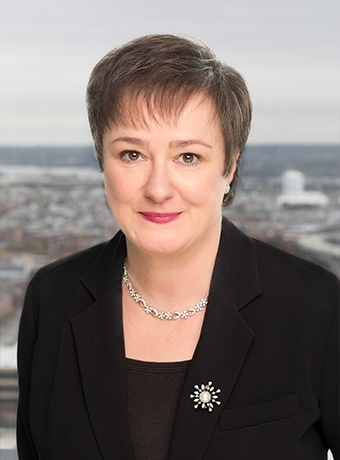 Renée Lane-Kunz, the Firm’s Chief Operating Officer and co-chair of its Employment Law Group, has been named President of the Association of Legal Administrators, Maryland Chapter. The new Maryland Super Lawyers list, just published by Thomson Reuters, names nearly all of the Firm's attorneys, including four lawyers identified as “Rising Stars” of the legal community. Read Shapiro Sher Guinot & Sandler's Employment Law Report for May 2013. Read Shapiro Sher Guinot & Sandler's Employment Law Report for March 2013.